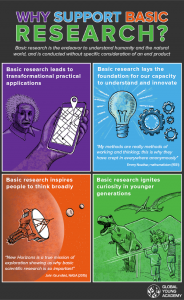 This site was launched to share resources and information about Canada’s Fundamental Science Review, also known as the Naylor report, as the review panel was chaired by David Naylor. This report was commissioned by Canada’s Minister of Science, the honourable Kirsty Duncan, and is unanimously supported by the scientific community. 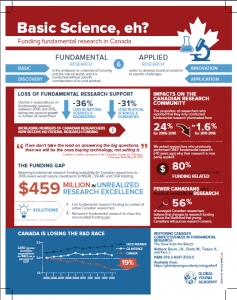 This report sets out a multi-year agenda that, if implemented, could transform Canadian research capacity and have enormous long-term impacts across the nation. We have a great opportunity in front of us. The federal government has commissioned the production of an exceptional document, the Review of Federal Support for Fundamental Science, which gives a very clear assessment of the funding situation in this country. The Advisory Panel of the review, a blue-ribbon group of outstanding reputation, composed of highly respected scientists (including a Nobel laureate), top administrators and industry representatives, has formulated thoughtful recommendations. It is now time to Support the Report, and implement its recommendations.